Turntex is a first class operation ran by Curtis, a true professional. He has a wealth of knowledge and will assist you without hesitation. Great customer service before and after the sale is hard to find in todays society. Curtis eagerly provides both and stands behind all of his products. You cant go wrong with a purchase from Turntex. Curtis, Thanks for all of your help. I bought the large chamber a few months ago and am now just getting started using it. Just stabilized some spalted tamarin . LOVE this system! I am excited about what I can now do with my products. Look forward to a long business relationship with you. Hope you are doing well. Thanks again! Don. Curtis, just got the products...really great looking. I expect to get more as we progress along. You have the best warranty in the market, and your products are outstanding. Thanks again and I look forward to the next time I get product from you. Curtis:\r\nThanks again for another great batch of texas hybrid/juiced up blanks. Workmanship on them is the best I have found. I also appreciate you taking the time to call and explain the \"Cactus Juice\" process and use of the equipment. It is always a genuine pleasure to conduct business with Turn Tex! Great product!!! They look fantastic when you get them and even better after you turn them. I highly recommend. Cactus Juice is an awsome product, if you have used it you will have to agree. If you have not you need to! Order can sometimes be slow, but I know this is a sideline for Curtis. If you ask for it in a hurry he does a great job trying meet your needs. Over all, I think this is a great little company with great products. :D I like the juice. Excellent product for stabilizing knife scales. Works great with Madrone and Maple burls. I\'ve also used it to stabilize some Australian burls which are pretty hard and dense to start. 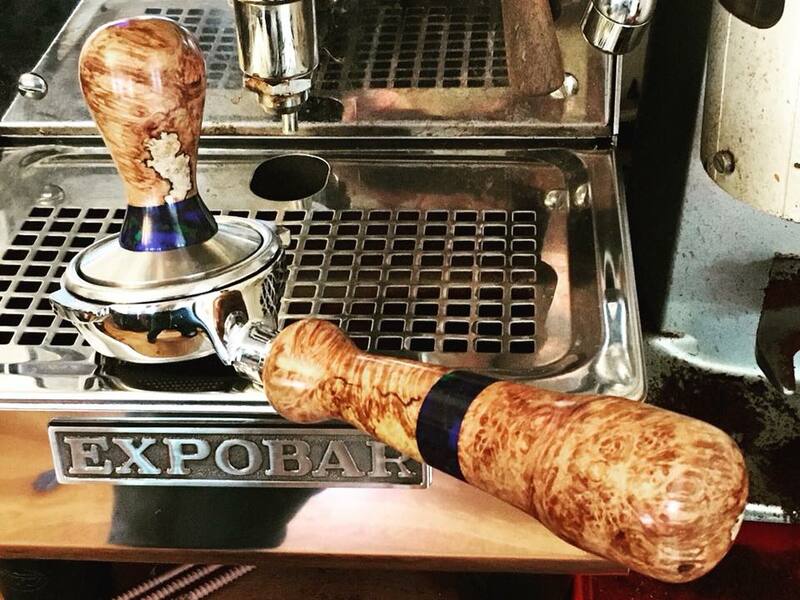 After stabilizing, the wood finishes out great. Got a chance to put Cactus Juice to the test. Not a bad process at all. Set up in the morning took about 15 minutes. Loaded the chamber and and applied Vacuum for an hour. When the first set was done set them aside to drain for a minute while I reloaded the chamber and started another set. Wrapped the first set and put them in the toaster oven for an hour at 200 degrees. Repeated the process 5 times and drilled the cool blanks and glued the tubes in between batches. The last two batches I used the dye and this is going to take some time to tune in. This first batch was in a widemouth mason jar but I have went ahead and ordered the small chamber. Very happy customer. Its refreshing to deal with old school type business that states it like it is and stands behind thier product with confidence. Curtis, Your blanks are works of art, it almost hurts to turn them. Curtis, I am extremely pleased with your product and your service. You have shown genuine concern notwithstanding your personal challenges and I look forward to a long and mutually successful business relationship. Received my first order of Texas hybrid blanks. The photos on the website did not do them justice. They are amazingly unique. Shipping was lightning fast. Turned a pen with one, and am extremely pleased. It was a pleasurable transaction, and I will definitely purchase again. Thanks for a great product. I now have my Cactus Juice and have done a few batches of stabilizing. All I can say is that this product is perfect for those who don't want or can not afford to go to the big companies for stabilizing. Next on the list is bowl stabilization for casting. Thanks you Curtis for your wealth of knowledge and courteous responses. I saw a demonstration of the small vacuum chamber and cactus juice at the woodturning show in Waco, Texas. I bought the cactus juice a the show and tried to find all the parts to make my own vacuum chamber. It wasn't long till I was online ordering the small chamber, vacuum pressure gauge, and release valve. I put it all together in minutes and was able to stabilize several pen blanks from some big leaf maple burl. It turned out great. Thanks. I recieved my large chamber and cactus juice and everything was in excellent condition and well packaged. But, due to work and other projects that need to be finished first, I have not had a chance to use it yet. I did hook up my vacuum pump to it and pull a vacuum with no problems. Can't wait to actually put it to work. Thanks Curtis for an excellent product. I recieved my order of cactus juice about a week ago. This was the first stabilizing I have done. The product was easy to use,and gave the desired results. I can't see myself trying anything else. When order was placed Curtis was currently out of product, but advised me of lead time and kept me posted. A great product from a great source. The customer service from Curtis (Turn Tex)has been outstanding in every respect. It is a real pleasure to deal with this company. Hello, Thank you for the fast shipment to Canada, 7days with a rotating postal stike. 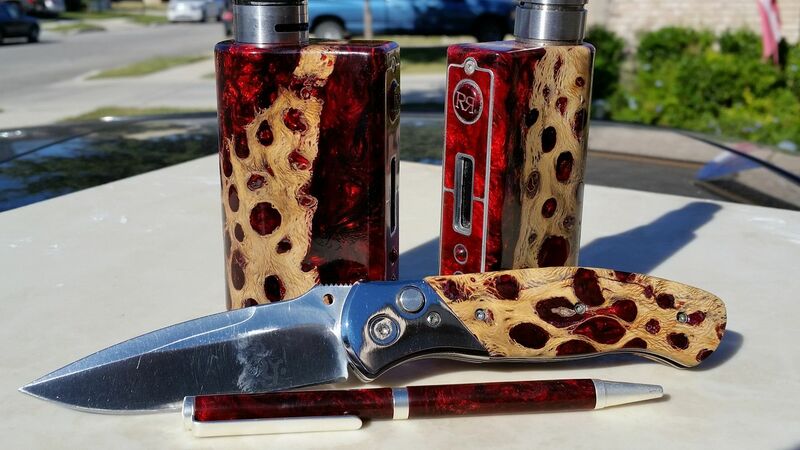 This weekend I will stabilized my first pens blanks, maple burl and spalted maple. God 3 days is long for the weekend to arrived. Hi there. I was really having a hard time finding a stabilizing product for knife handles up here in Canada so I was pretty pleased when your shipment showed up today - looking forward to trying it out. Thanks for the prompt and professional response. Thank You Curtis for the fast service for your products! 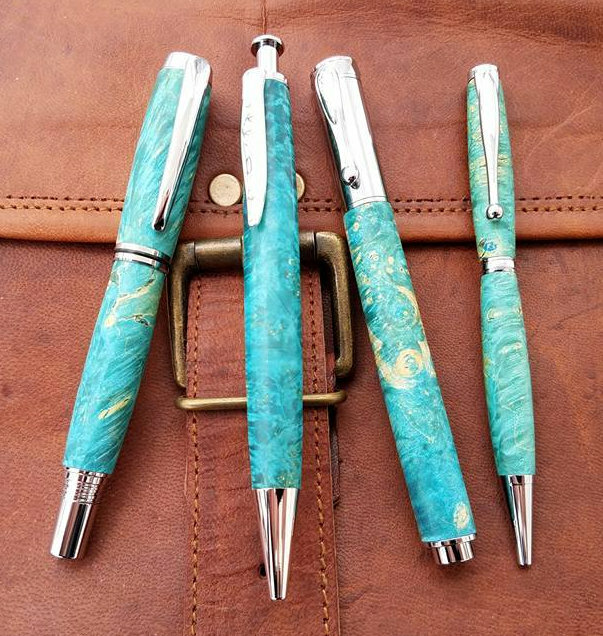 I have used your cactus blanks and the wood blanks, everyone of them has made good looking pens. My most recent order is for the cactus juice and the chamber. A very satisfied customer!! Curtis, The stabilizing chamber & cactus juice are wonderful. I have done about 25 blanks so far and all have come out perfect. I have recommended this to a couple of folks already. I am looking forward to the larger chamber. Curtis, I used the wrong drill size on the first blank you sent me, normally this would have been a costly mistake, but your policy really helped. I just finished turning the replacement cactus blank and have to say that was one of the easiest blanks I have turned, but the best part was how the finished product looked. Thank you so much for your quality blanks and unmatched customer service/support! Curtis, first I would like to say that your website, letterhead,and packaging is one of the best I have seen, very professional. I turned the Cactus blank, and a Worthless wood blank this past week. They turned very nicely, and are absolutely beautiful. Thanks so much for making these available. Had a bit of a delay receiving pen blanks, no fault of Turntex. Had an unexpected case of deployment. Finally received pen blanks, have to say well wroth the wait. Thanks, will be ordering more in the future. 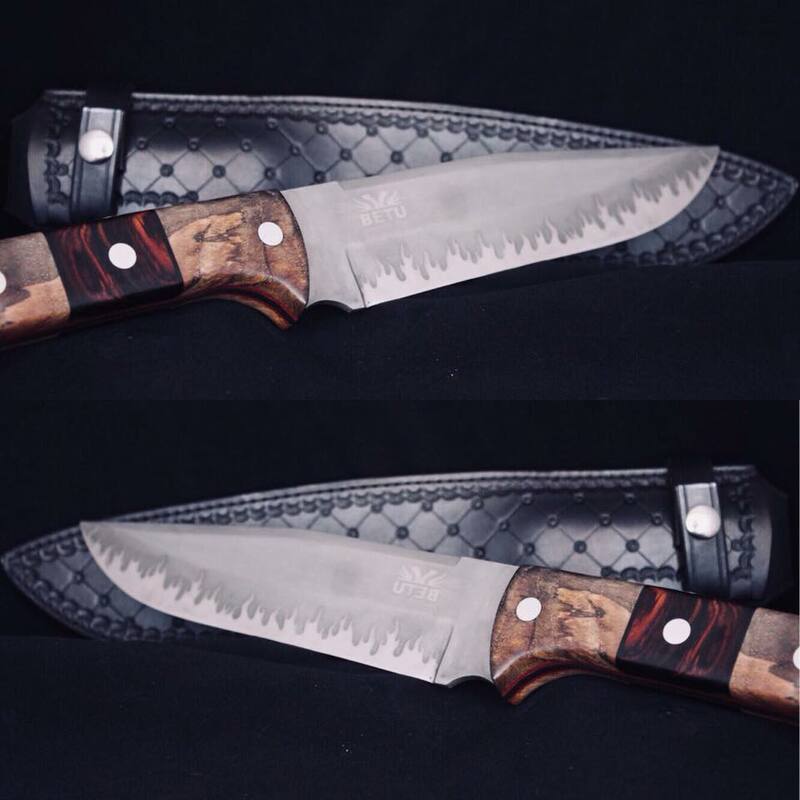 TurnTex Woodworks has, without question, truly high quality blanks, unique gifts and extremely great customer service. 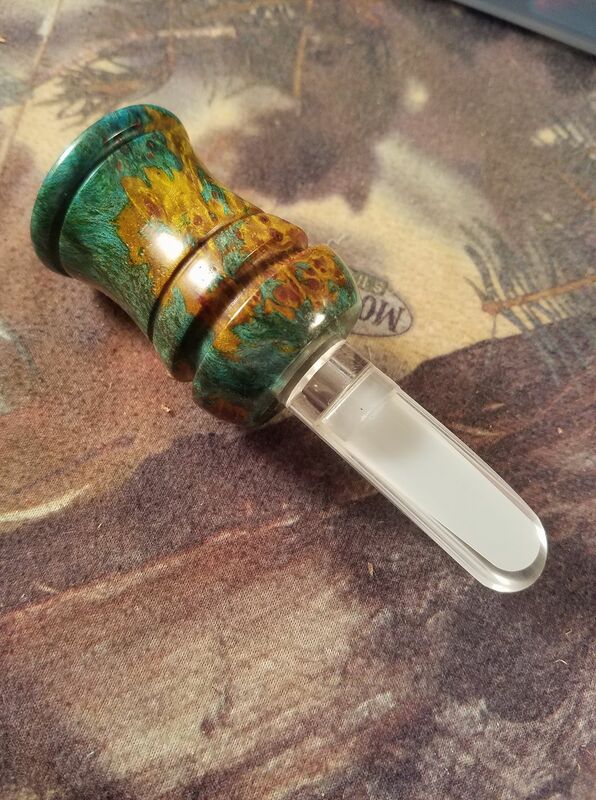 I love the cactus pen blanks, the "Texas Hybrid" blanks and the new key chain I am now the proud owner of. Curtis has taken the time to answer any and all questions I have had about turning these items the first time I purchased anything new and I have already put my name on the "waiting list" for products that I have fallen in love with just from the pictures. If you think it looks good in the photos just wait until you have it in your hands - you will be amazed!! 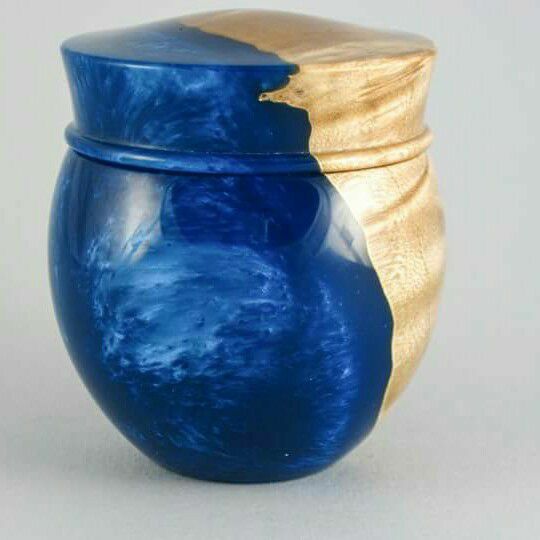 I will be back, time and time again and I highly encourage anyone who is considering a purchase either for themselves or for that unique gift to give TurnTex products a try - YOU will BE GLAD that you did! I just finished my first money clip. They are a very elegant gift or sale item. I am ordering a few more and some matching key chains to go with them. I plan to give or sell them as a set. Talk about a nice gift for the man who has everything ! Thanks, Curtis, for making this available. 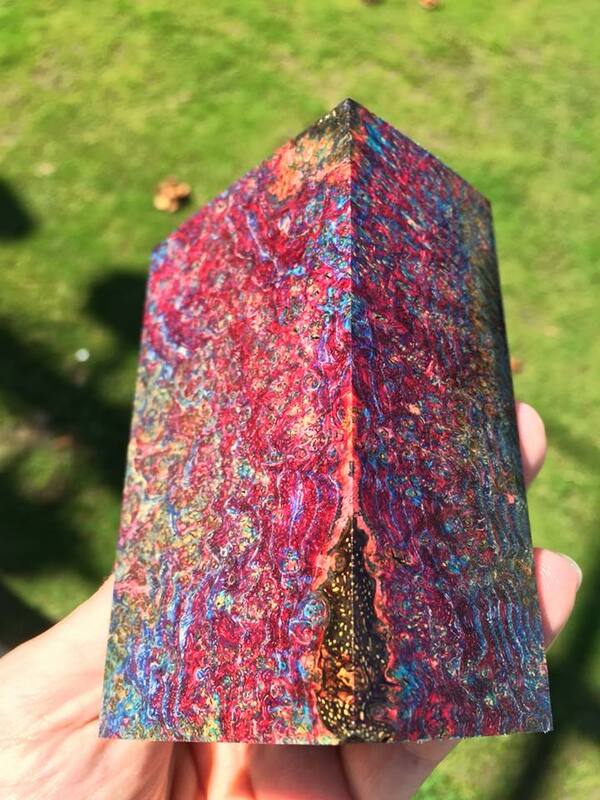 These are by far the best pen blanks I've turned to date. The composition of the material turns off like butter and the final product adds a truly executive feel to the overall project. 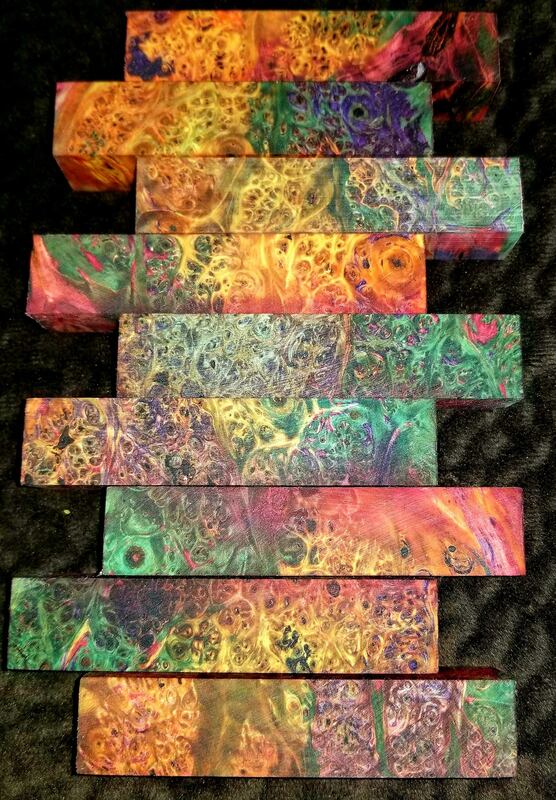 Curtis is like a mad scientist with these blanks and the final turned product shows off his incredible talent. 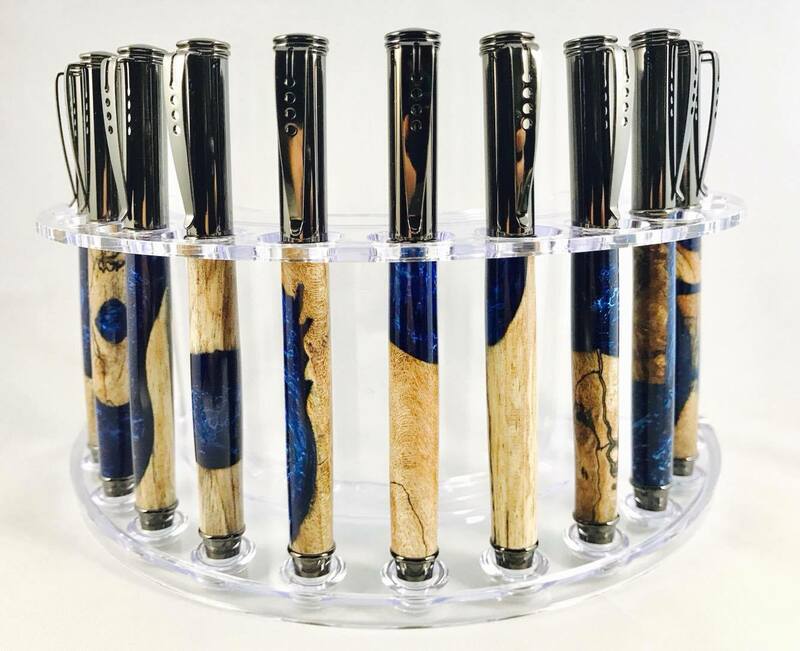 I recently did a artisan festival and the pens made from these blanks were the talk of the show and commanded high prices that the customers were more than happy to pay. Thank you again Curtis, you have a customer for life...or as long as you want to supply these blanks to me! 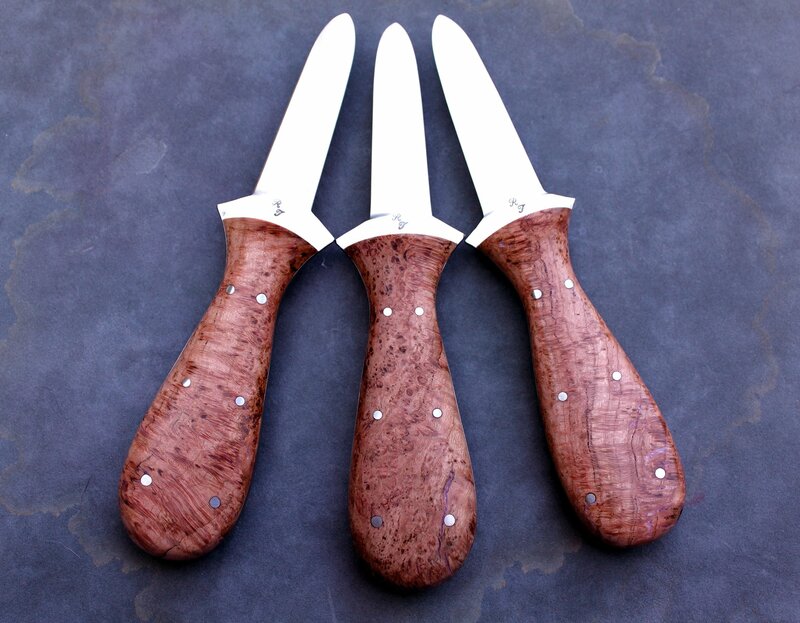 Curtis, as always I am completely satisfied with the most recent blanks I purchased from you. 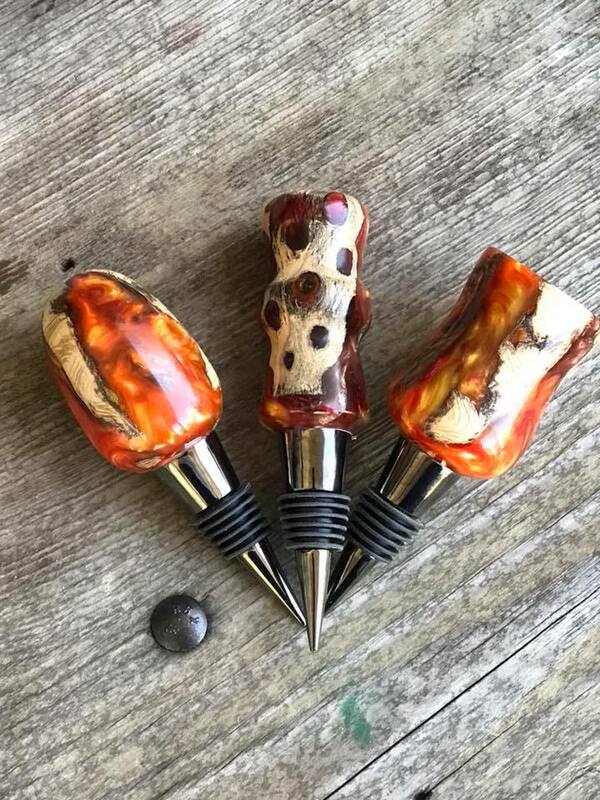 Your Texas Hybrids have always been some of my favorites (my personal daily writer is made from a Texas Hybrid) and your Original Cactus Blanks are simply the best cactus blank on the market. Thanks Curtis! Ordered two blanks and they are amazing. Couldn't ask for better quality, or customer service. Curtis was ready and willing to help out with questions. Look forward to buying more! I have received yet another order and once again the quality is astonishing. I am eager to turn pieces for the money clip and key tag, which are very nice quality. Thank for such great customer service, I really appreciate it.